I don’t think I need to emphasize my love for breakfast pastries anymore. Even if you are new to this blog you have probably picked up on that by now. So, I wanted to make another muffin for quick breakfasts. My favorite muffin may just be the chocolate chip kind. I love chocolate and muffins, so to me it is a great combination. So, I swapped out the oil and butter in the muffin recipe for Greek yogurt. I can’t express how delicious these are. Not only are they soft and moist, the Greek yogurt adds such a delicious flavor to the muffin. It goes perfectly with the sweet chocolate. I devoured these bad boys. No sharing whatsoever. I can’t recommend these enough! This may be my favorite muffin I’ve made yet. Also, you can totally eat these for dessert since they are slightly sweet. It’s a double win breakfast/dessert muffin! 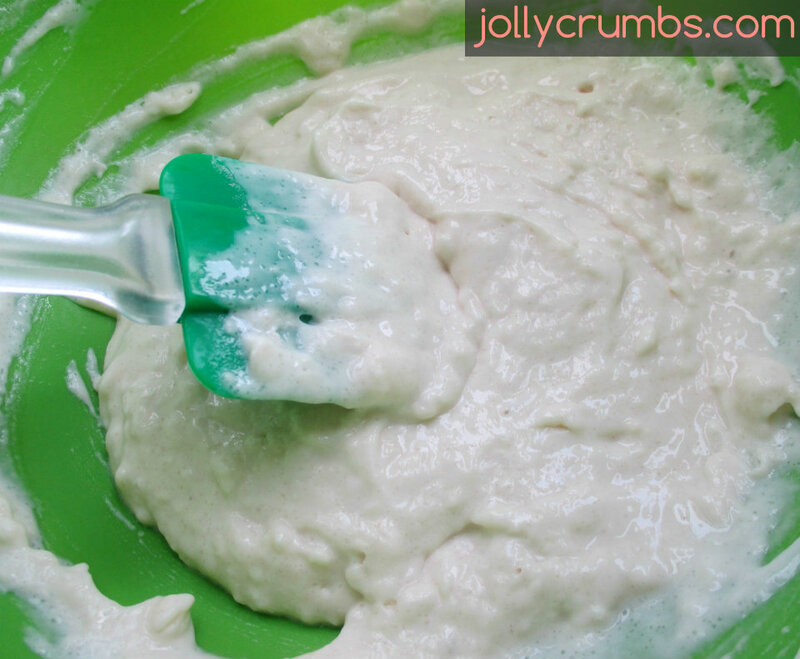 This batter comes together easily, and you don’t need anything special to make it. In a medium bowl combine flour, Truvia, baking powder, and salt until well mixed. In a separate, larger bowl, whisk liquid egg whites, yogurt, and milk until well combined. Use a large spoon or spatula to stir flour mixture into egg mixture until only a few streaks of flour remain. Fold in chocolate chips. Then fill muffin liners 3/4 way full with batter. Bake for 13 to 15 minutes or until a toothpick inserted in the center comes out clean. 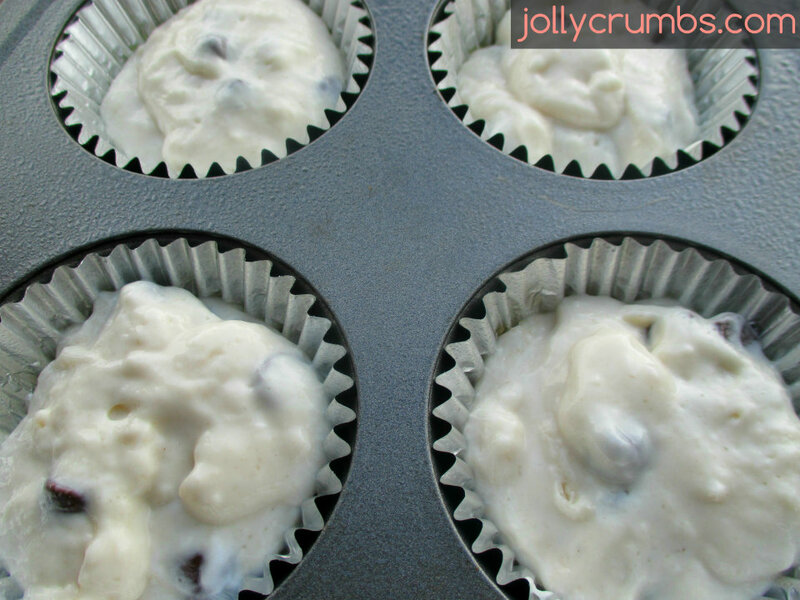 You can also make these muffins in a jumbo muffin pan if you have one. You will just need to increase the baking time to around 20 minutes. Let muffins cool in the pan for a few minutes before carefully removing and placing on a wire rack to cool completely. These chocolate chip muffins are delicious. I love that these are oil and butter free. The Greek yogurt gives these so much moisture and a nice tang to balance out the chocolate chips. These are perfect for breakfast or dessert. I gobbled these up quickly, perhaps too quickly. By the time Samuel asked if there were any left, I had to admit I ate them all. So if you are anything like me, I recommend making a full batch or a double batch. 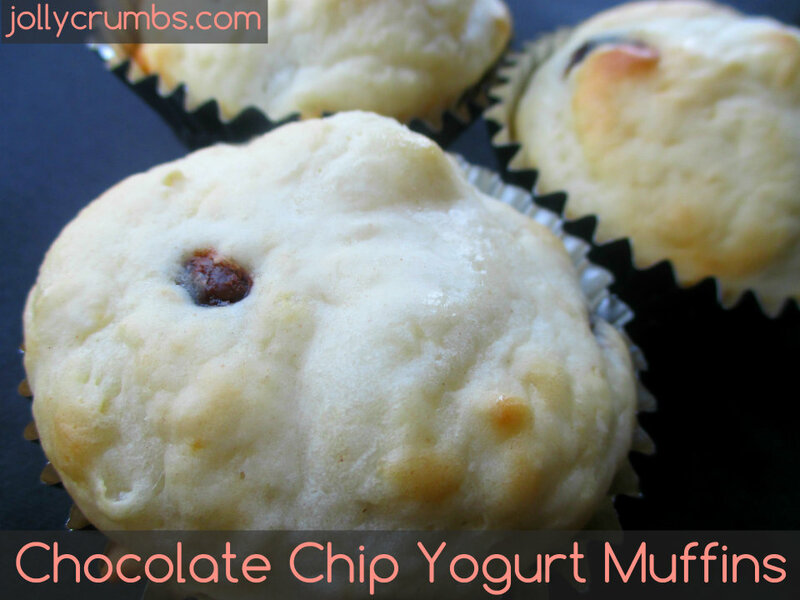 If you like chocolate chip muffins, these are perfect! Preheat oven to 350°F. Line either muffin pan with 12 liners. Spray with nonstick cooking spray. In a medium bowl combine flour, Truvia, baking powder, and salt until well mixed. In a separate, larger bowl, whisk liquid egg whites, yogurt, and milk until well combined. Use a large spoon or spatula to stir flour mixture into egg mixture until only a few streaks of flour remain. Fold in chocolate chips. Fill muffin liners 3/4 way full with batter. Bake for 13 to 15 minutes or until a toothpick inserted in the center comes out clean. Let muffins cool in the pan for a few minutes before carefully removing and placing on a wire rack to cool completely.